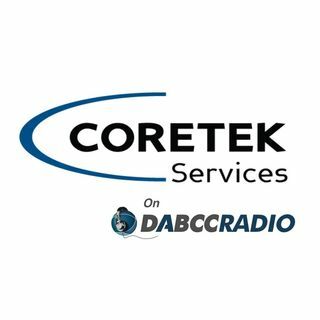 In episode 292, Douglas Brown interviews Brian Barnes, Director of Solutions Architecture of Coretek Services. Brian and Douglas discuss Coretek’s views on the changing landscape of virtual desktop deployments. Brian dives into topics such as VDI, SBC, how IGEL fits into their offerings, security and much more. Coretek Services is an industry-leading IT professional services and consulting firm headquartered in Farmington Hills, MI. Coretek’s goal is to help our ... See More clients in various industries achieve and sustain predictable and effective IT results. We’ve been at it since 2005 and today, have expert staff members delivering innovative, high value solutions to our customers. Strong relationships and excellent people drive our business. Brian Barnes is the Director of Solutions Architecture of Coretek Services, an industry-leading and nationally recognized IT Professional Services and Consulting firm. Coretek’s goal is to facilitate our Healthcare and Enterprise customers, as well as other industries, achieve and sustain predictable and effective IT results. Our mission: Project Success, No Exceptions! The Solutions Architecture team is responsible for working with customers, vendors and account teams to design an accurate and flexible solution based approach to our customer’s unique business and technical requirements. This made possible by utilizing the complete portfolio of Coretek’s service offerings. The SA team has engineered hundreds of the largest and most complex healthcare and enterprise solutions deployed nationwide. Prior to his current role, Brian was an Assistant Vice President of large Server, SAN and Workstation service lines in the Financial Services and Banking industry as well as serving as Sr Architect in multiple consulting organizations. Experience in Infrastructure & Virtualization gained during his 25 years of Information Technology involvement enabled Brian to apply that knowledge to current Healthcare needs and project requirements. Brian continues to speak and present new and emerging technologies at the national, as well as regional, HIMSS events along with other IT related conferences across the country. Mr. Barnes continues to investigate and test new technologies that complement Coretek’s unique solutions based approach in solving complex business challenges of today and tomorrow. Douglas Brown is the Global Technology Evangelist at IGEL Technology and the Founder of DABCC. Doug has more than 20 years of experience in virtualization, cloud, and end-user computing technologies and markets. At DABCC, Mr. Brown worked with hundreds of companies assisting in their marketing and as a technical advisor. Douglas is a sought-after speaker and has spoken at many leading industry events, such as Citrix Synergy and VMworld. He has been writing about end-user computing technologies for almost two decades. Prior to DABCC, Douglas worked at Citrix Systems, Inc. as a Senior Systems Engineer from 2001 to 2004 where he developed the leading Citrix project management and deployment solution, “Methodology in a Box”, which has more than a million downloads. Additionally, his peers and management at Citrix awarded Douglas the inaugural “SE of the Year” award in 2002. From 2005 to 2016, Doug was acknowledged as a MVP by Microsoft Corporation for his contributions to the industry. He has also been awarded the Citrix CTP from 2006 to 2016 and VMware vEXPERT awards for his continued support of the IT community.